The weekends usually consist of one whole day being spent up the allotment, I just love being there, It’s my favourite place and I can’t think of anything else I’d rather being doing! After a full week at work it’s nice to cycle up to Plot 15C in the morning with a long list of jobs to complete to spend the day in the sun shine weeding and harvesting crops (and remembering to put on suncream and a hat!) This weekend it just so happened to be a glorious day on Sunday (and poured with rain on Saturday!) so I headed to the allotment to do some much needed weeding. As a little treat I stopped at the local shop on the way to buy some supplies for lunch, both me and my Dad were spending the day on our plots so I decided to make us some lunch up the allotment. I absolutely love my Ghillie Kettle, it makes the most delicious cups of tea and it’s so easy to use (once you get the hang of it!) You can also cook on it using the top of the kettle whilst it’s boiling and then you can finish cooking using the embers in the fire pit once the kettle has boiled. I have only ever cooked a pancake on the Ghillie so today for lunch I decided to cook some bacon and make some good old fashioned bacon sarnies! After spending the morning weeding it was nice to sit back and enjoy the sunshine eating a delicious lunch, something I would love to do more often on the plot. Now here is an idea which has been swimming around in my head for the past week. 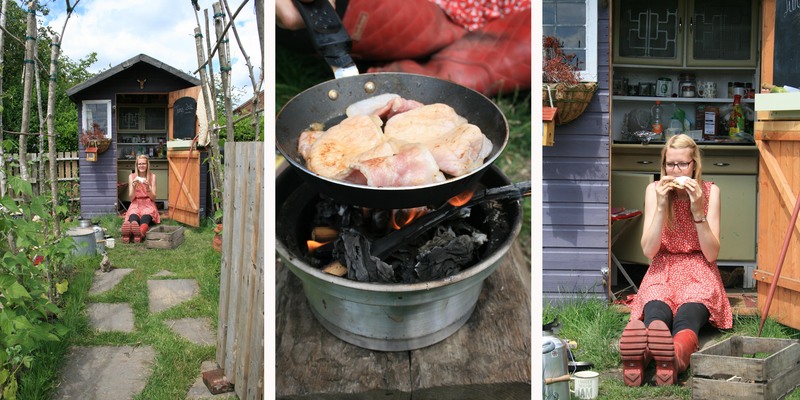 I was thinking how nice it would be to cook lunch up the allotment every weekend and how even nicer it would be to cook the food I was growing. Then I thought how great would it be to film a sort of spin off series to my allotment videos but focus entirely on cooking little snacks and lunches like omelettes etc on the allotment. This is just an idea really but it would be great to hear any feedback on the matter? Would it interest people at all? I think that would be good fun. 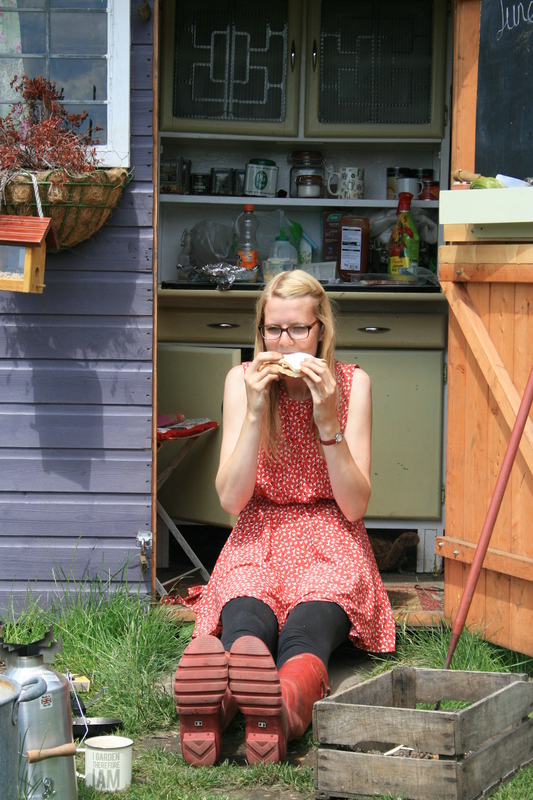 We often have a barbecue at the allotment or if working in the morning we have fried egg sandwiches and a cup of tea. Would be keen to see your ideas. l think that would be such a good idea. lm always looking for ideas on how what l grow in my little garden for just my hubby and me and any tried and test recipes would be so welcome. l grow mostly the same things as you. happy gardening. I don’t have a garden but do like to add fresh fruits and veggies from the farm market to recipes. I like your idea and would enjoy watching your videos to get some new ideas!